Zinc mirrors are hammered or sold with smooth texture. Mirror frames can be round, rectangular, square and oval. 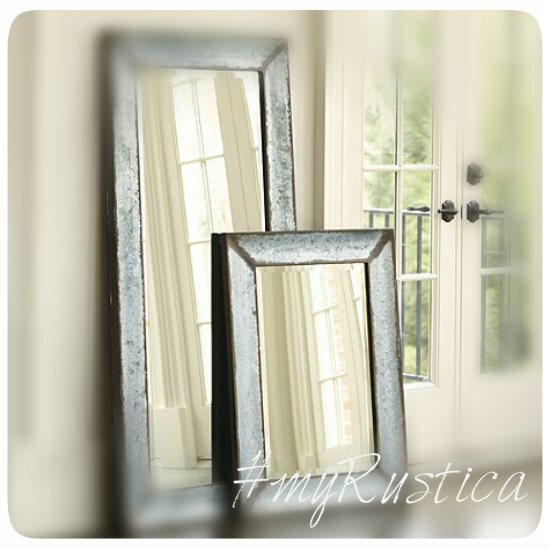 Apart of standard shapes and sizes under Rustica House brand the buyer can order any style of metal mirror with custom frame finishing. Since zinc metal is natural in its color, the mirrors are used successfully as accents in rustic, modern and traditional homes, restaurants, and bars.